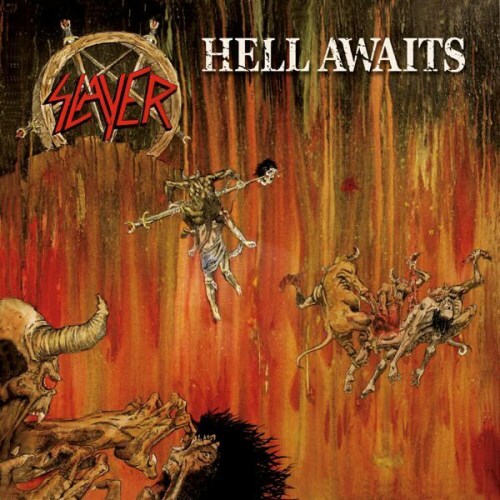 Hell Awaits is somehow a major improvement on Show No Mercy, and that album was already a really good record. I'm actually surprised that the instrumentals are much better here, considering I also loved them on their debut. And whilst I still don't really care for Tom Araya's vocals too much, I do think they are much better here. As a whole, this album definetly has a bigger sense of direction than Show No Mercy, but it doesn't lose the songwriting style they had on that album, which is almost evidently disappeared on Reign In Blood. Purchasing Hell Awaits from Amazon helps support Album of the Year. Or consider a donation?